ZDF Enterprises (ZDFE), the commercial arm of German pubcaster ZDF, is pairing with Japanese broadcaster Fuji TV on a drama focusing on a professional football transfer window. 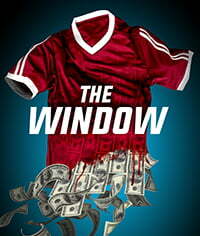 The Window (10×60’) has been conceived and written by British screenwriter James Payne and developed by Berlin-based Boogie Entertainment. The action will unfold during a transfer window, the period during which football clubs can buy and sell players. It is being coproduced by ZDFE and Fuji TV, with Belgian production companies Panenka and Belga Films. ZDFE will handle global distribution. The primetime drama focuses on the lucrative business of the English game, following the players, agents, club owners, club administrators and journalists involved. It centres on the career of a 17-year-old rising football star through 10 weeks of his life during the off-season, with every major club in Europe chasing his signature.